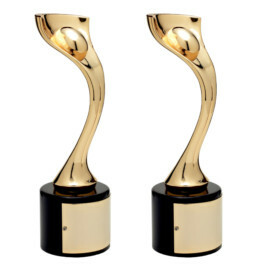 Our team is thrilled to take home two 2018 Gold Davey Awards for packaging design & brand identity for mozen. This is the first time a Davey Award has been awarded for cannabis branding. We are beyond honored! Thank you Direct Cannabis Network for featuring our founder this week! Masha began her journey at the Rhode Island School of Design (RISD) as a fine artist and graphic designer. After RISD she found herself in the east coast corporate world designing branded campaigns and packaging for iRobot. Soon enough, the palm trees of Los Angeles pulled her west to join the entertainment industry where she designed award-winning television and theatrical print campaigns and painted in her free time. Today, she heads up PLASTIC PALMTREE, a Los Angeles-based boutique creative agency. Masha has collaborated with legions of clients across multiple entertainment and industrial brands including FX, Spike, Papa & Barkley, mozen, NBC, Pure Bloom, NatGeo, Paramount and more. PLASTIC PALMTREE clients range from cannabis, corporate, & medical to film & television. 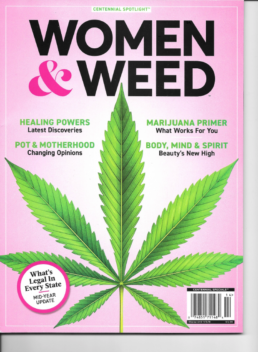 Spotted: at Barnes & Noble, Target and other stores - Centennial Spotlight, The Women & Weed issue. Read an exclusive interview with our founder Masha Kupets Navarre about branding cannabis. "Everyone faces creative challenges when it comes to compliance and packaging." - MKN. Thank you to Centennial Media for featuring us among all these incredible entrepreneurs! 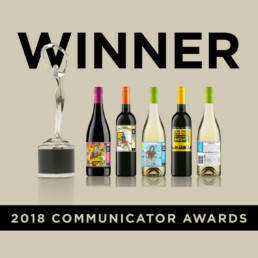 Today we received a 2018 Communicator Award for our SNL Wines collection label design. Our work just got featured in Entertainment Weekly! Thanks to Lot 18 and NBC Universal for the incredible collaboration. We were honored to design the new SNL Wine Collection. We were honored to co-host/brand Constellations, with some amazing women in cannabis. Thank you for THC Design for making it possible, and thank you to Higher Beauty, Olive Kind, Ashley Manta, Ophelia Chong and Alice Moon for being the best team we could ask for. Check out this story in Dope Magazine by Ashley Manta! 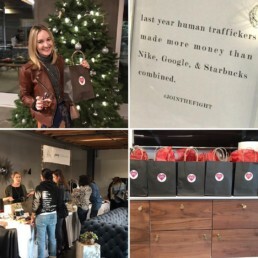 Last month we co-hosted an incredible GAF Project charity event with Barking Owl Sound and Sound and Fury Casting benefiting organizations against human trafficking. Thank you for this awesome interview, Huffpo! 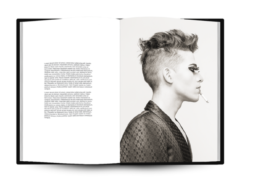 "GORGEOUS is a photography book curated by photographer Rob Lebow and Creative Director Masha Kupets Navarre that seeks to explore the power of beauty, gender and their illusionary qualities through portraiture and personal interviews. The series of portraits features prominent queer artists and performers with the goal of empowering artists and audiences alike by questioning mainstream definitions of gender and standard visual expectations with every photo. The Huffington Post caught up with Lebow and Kupets Navarre this week to discuss GORGEOUS, what the pair are attempting to accomplish with the photo series and the larger conversation that the pair wants to engage the audience in through these photos."